Longines make great watches and at a more wallet friendly price, not that £981 is exactly cheap for a watch and defo a bit of a self indulgent splurge. A watch that if looked after can be passed on down the family with a timeless design. Cheers Mr Dead - I do think I have made the right choice on this one. I first wanted the Omega Seamaster 300, but i tend to like my watches bigger than 41mm so id probably looking at a planet ocean and they are even more. The Longines seems to offer most of the quality at a fraction of the price - official servicing seems to be about half the price, and is still from a prestigious watch company with a strong history, they seem to be somewhat underappreciated and undervalued and being a serial bargain hunter that calls to me too! But to be honest I was sold on it as soon as i saw it, the price is a bonus. I still would like an omega one day in the future, but now I will have a nice diver i think it would have to be the moonwatch. I'm into my Japanese watches myself, love Sekios and Orients in particular, just find them to be straight honest watches at a reasonable price, I have really scrawny wrists so the 37mm of the Seiko is ideal. That Longines Hydroconquest is a really nice watch and is affordable and I might treat myself to that one as well, I'm a little disappointed that Swatch seems to have decided to reduce Longines down a tier though, I bought the Grand Classique for something dressy and it's not value for money. Funnily enough the watch that's getting the most wrist time with me at the moment is a cheap but not nasty Chinese job as well, a Parnis Daytona homage. I like it though, only £60 and it has sapphire glass, nice mechaquartz movement and fully stainless 316L case and bracelet with ceramic bezel and the bracelet has solid end links and a machined clasp which is something I would not get with most Seikos even though I put in on a leather strap, looks good and wears well. Sorry to lower the tone with "shitters" as Archie Luxury would say. Not at all Scuzzle, Cheaper watches can be very enjoyable too - infact i just made a youtube video of my cheapo casio watch lol. 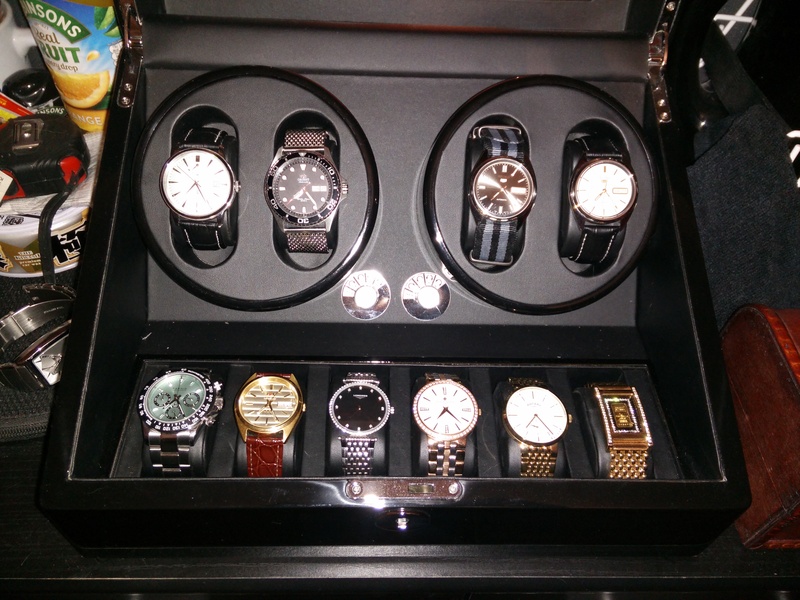 That watch winder is pretty damn cool! 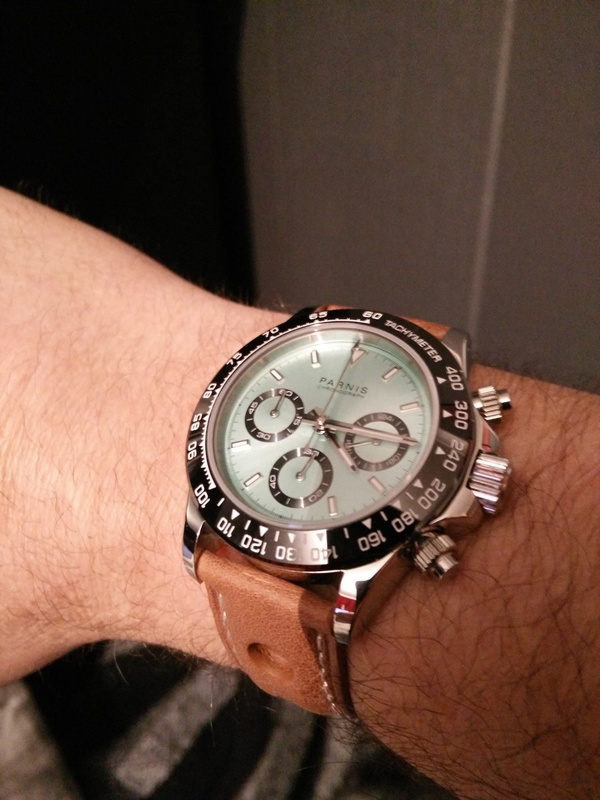 I totaly get the Japanese watch thing, love them too. I got quoted between £500 and £600 depending on steel or gold model. Although the guy i spoke to basically said if its still keeping good time then dont bother! Although it would be more a cosmetic thing when i do service as they come back looking brand new.